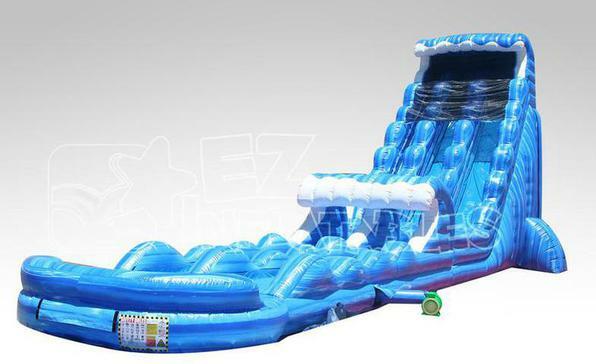 Our 27ft Tidal Wave Dual Lane Water Slide features a radical sliding angle that's sure to get the adrenaline pumping! Riders scream down the 27ft tall water slide then continue down the slip-n-slide before landing in the pool. 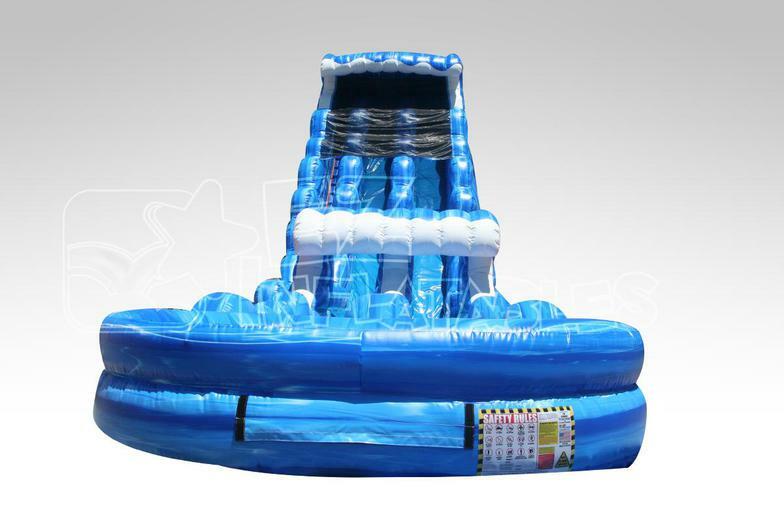 This water slide will blow your mind! It's perfect for schools, churches, summer camps and more. Fun for all ages!